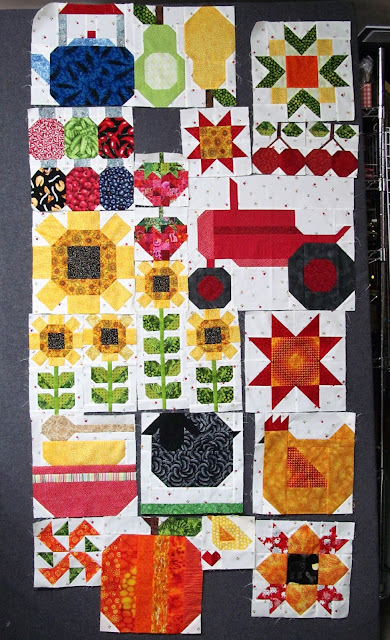 While my friends were here yesterday I worked on my Farm Girl blocks. I made a second strawberry and the 2 bowls and wooden spoon near the bottom on the left side. I also got two more baby chicks cut out. 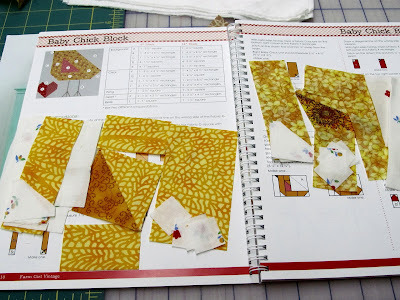 I still have to cut the heart fabric for both blocks. In the early evening I decided to mow the lawn while we had a nice cool breeze from the north. I doubt the grass will grow much this week since we haven't had rain for awhile and none predicted until Friday night. Love these designs. 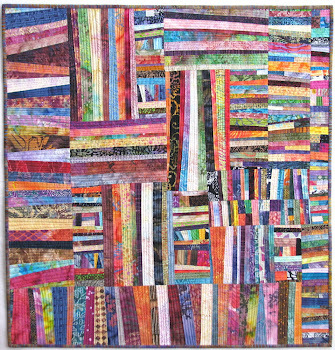 So cute quilts! The blocks are beautiful- the colors are great. They certainly are time consuming. Could use some sun here and less rain. 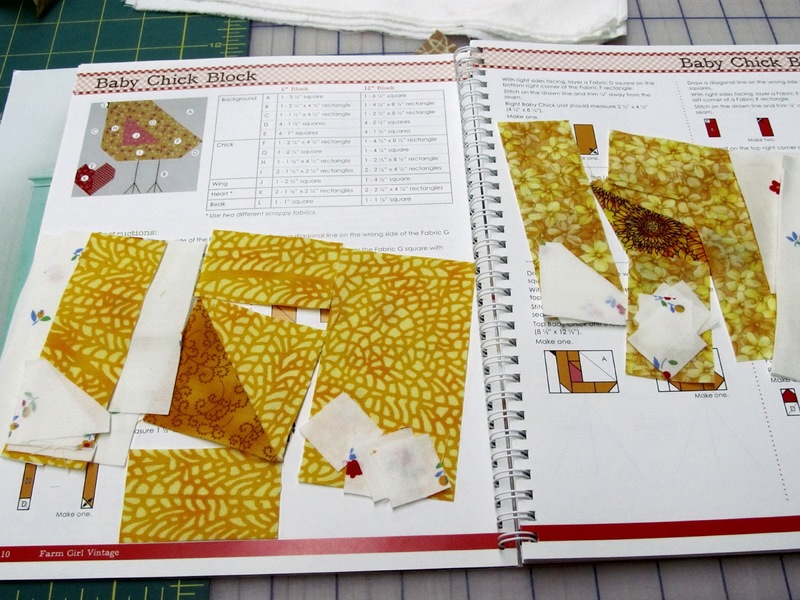 That's going to be such a cute quilt! 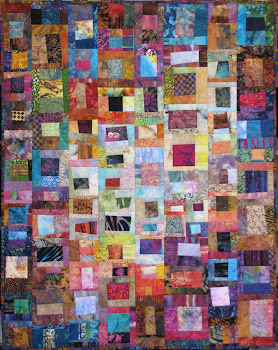 I'm loving the quilt! It brings me joy every time you get another block done. It's become dry here in northern Iowa. There are dry spots in the yard. That lush green spring grass isn't so lush anymore. The blocks are coming along nicely! I think I will mow tonight since it is suppose to get really hot starting Friday and it is much cooler today. The high today is suppose to be 65 which is fine with me! I would rather stay inside and sew, but the yard calls! Your farm house blocks are cute, and I'm waiting for those chicks to show up. It's dry here too with higher temps in the 80's and only short rainfall a few times. Grass and weeds seem to be growing though. Those Farm Girl blocks are so cute. They look great together. The strawberry blocks are my favorite! You've inspired me to get busy and work on mine! Thanks for the inspiration!